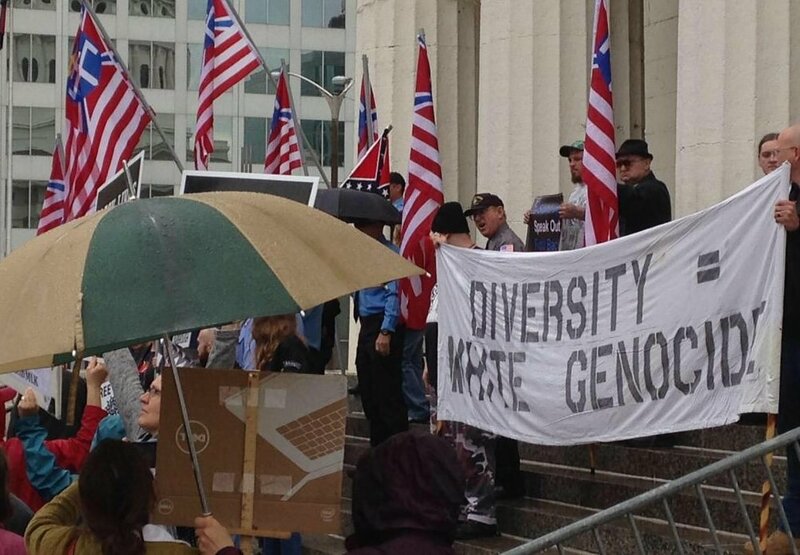 Members of the Church of Jesus Christ Christian-Aryan Nation held a protest in downtown St. Louis on Saturday. About twenty members turned out for their protest. 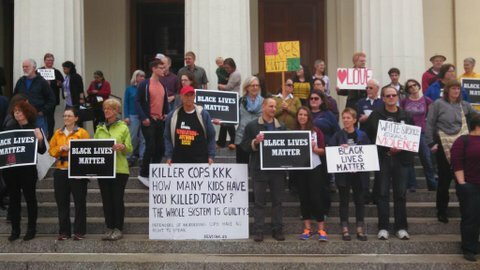 50 or 60 cop-hating counter demonstrators protested against the racist group.